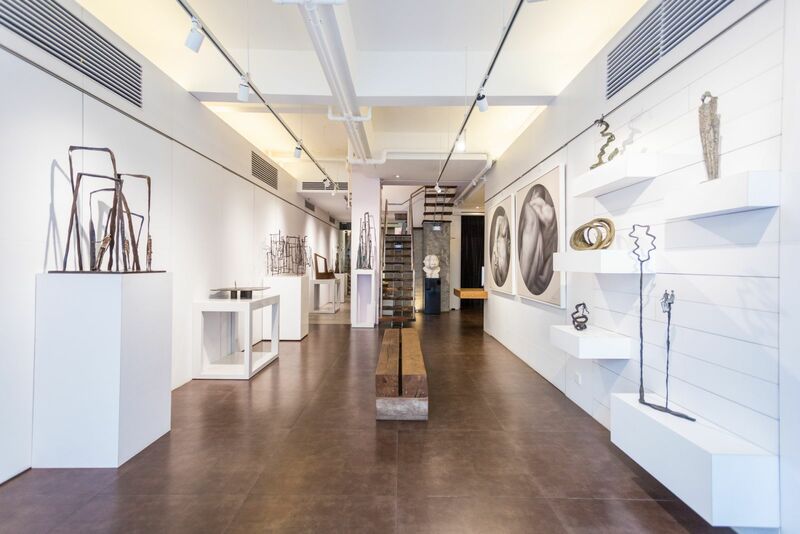 Wellington Gallery is a leading Hong Kong gallery specializing in contemporary Chinese art. Established in 2004 and located at the top of Wyndham street, we rapidly expanded to two sites in 2007: a large two-level art space. The gallery covers an area of some 3,800 square feet in the midst of Central’s business district and is only a few steps away from the vibrant Lan Kwai Fong entertainment area. Wellington Gallery is dedicated to introducing a diversity of exciting modern works from China to both institutional and private collectors. Rather than following what other Hong Kong art galleries may offer, we aim to set the agenda in identifying top quality works by new and yet-to-be discovered artists. We are passionate about art and are committed to bringing young and emerging Chinese artists to show their work in Hong Kong, many of whom have since achieved recognition by international museums and art experts. A programme of constantly changing group exhibitions and special solo shows are presented, such as recent collaborations with artists Chen Li, Chen Yu, Zou Cao, Chen Guangming, Zhang Linhai, Xie Yuanqing, Liu Ruowang, Shen Jingdong, Hou Qing, Yu Nancheng and Val. Special exhibitions are often accompanied by comprehensive illustrated catalogues with in-depth essays by established critics. At our spacious main gallery, the airy two-levels art space offers an ideal environment to view art. Here, you can find large paintings ranging from stylized portraits to minimalist sculptures and surrealist political & social commentary. Our relaxing gallery surroundings enable you to view artworks in the best setting, while our professional consulting team will be able to offer you informed advice in choosing the right pieces. A patio area and further exhibition space to the back of the ground floor gallery provides further space to view works which may suit an outdoor or a more ambient locale. Wellington Gallery warmly invites you to visit our gallery and share our passion for the many stimulating discoveries awaiting in modern Chinese contemporary art.